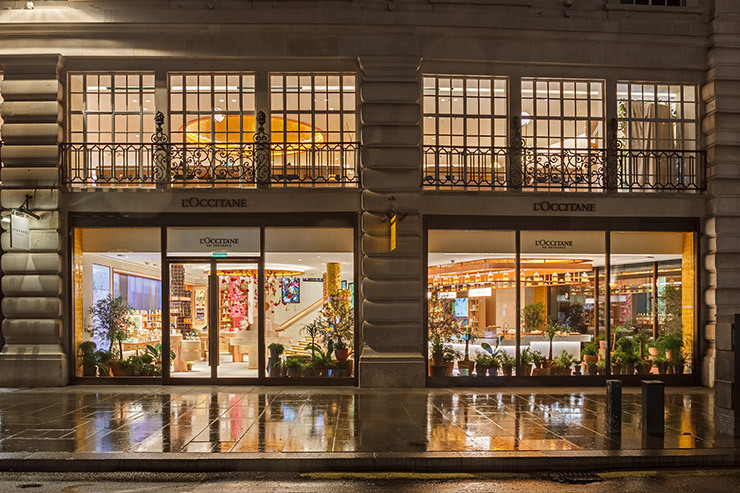 French natural beauty, skincare and fragrance brand, L’OCCITANE en Provence, commissioned retail design experts FutureBrand UXUS to create a retail experience in the brand’s first flagship store on Regent Street. 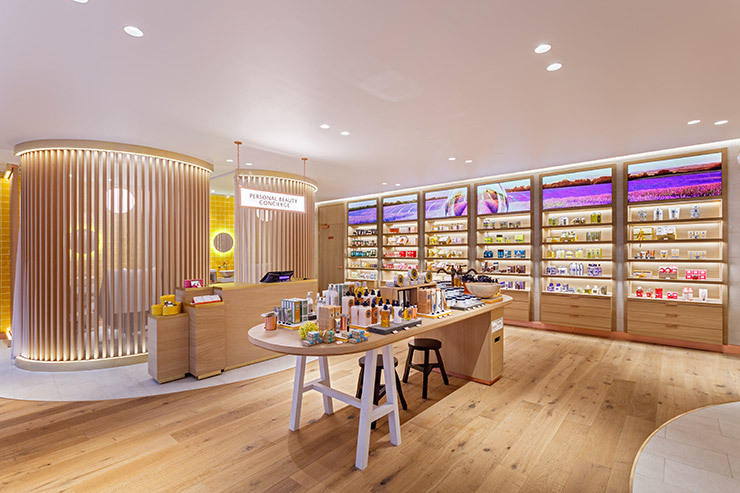 FutureBrand UXUS was briefed to create a new immersive experience that offers customers a luxurious and sensorial exploration of L’OCCITANE’s full range of natural beauty products, all inspired by the south of France art de vivre & Provençal beauty secrets. 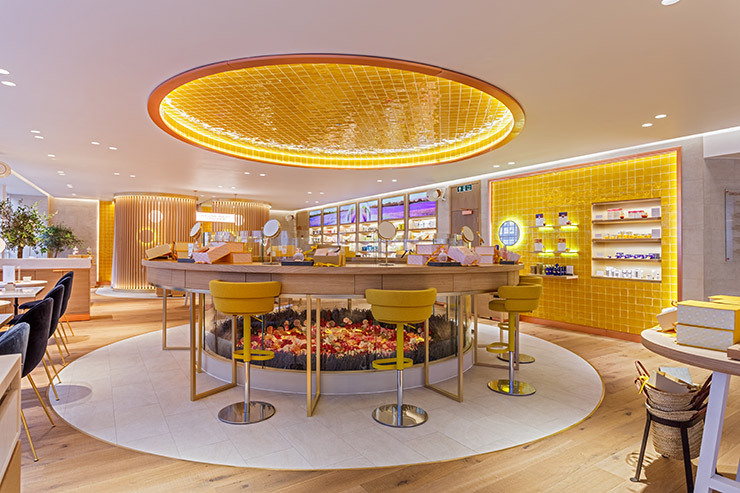 The FutureBrand UXUS vision for the space is an enchanting retail experience with education and trial at the core, sharing the L’OCCITANE ‘beauty of life’ philosophy with the curious customer. 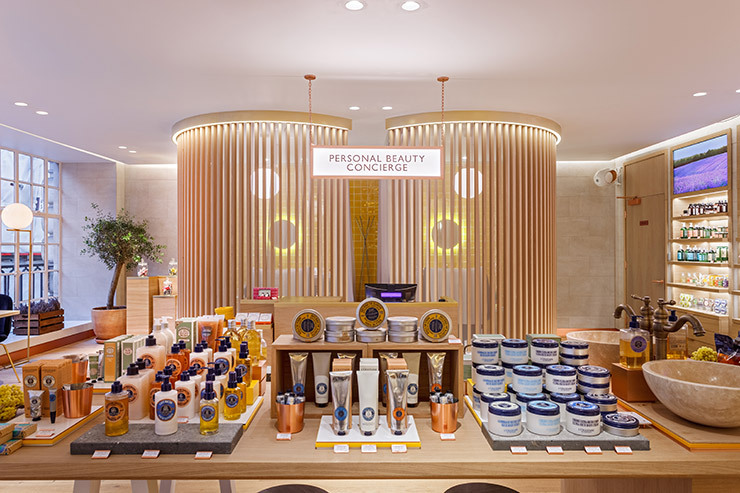 With the region of Provence at the soul of L’OCCITANE, FutureBrand UXUS transports the customer there, with real roses and showers of lavender incorporated in the interiors, and tiles in a warm Provence material palette. The decorative lighting chosen for this project by FutureBrand UXUS evokes the feel of a traditional French café with simple and contemporary Flos tablelamps used as accents around the store, FutureBrand UXUS introduced this style of lighting into the Pierre Herme café with the IC F2 Floorlamp by Flos. 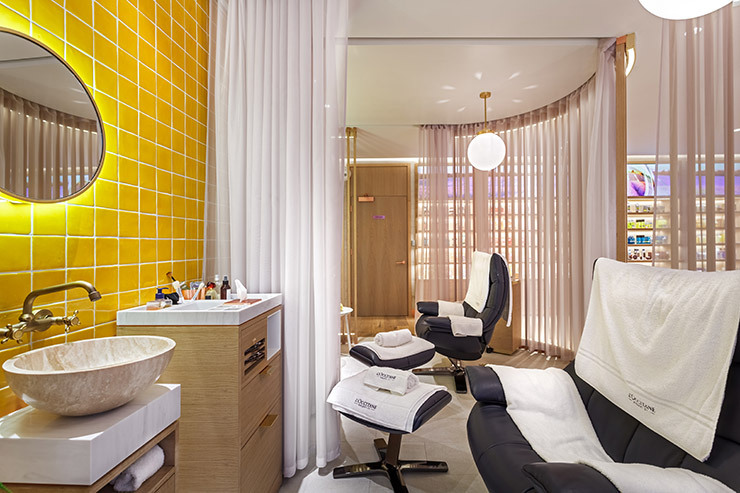 Halo lighting, recessed lighting and backlit mirrors have been used in the space to represent the luminosity of the rising sun in the Provence, the origin of L’Occitane. Cutting-edge lighting design consultancy, Nulty Lighting Design worked with FutureBrand UXUS on the lighting solutions to aid customers as they journey through the store. 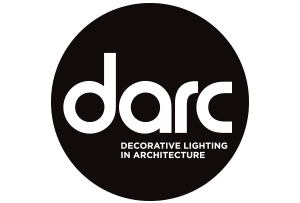 The naturally warm interior palette is complemented by the use of high CRI LEDs, which bring out the true colour in the materials used, emphasising the warmth and natural ethos of the brand and emulating the Provence ‘golden hour’ of light. 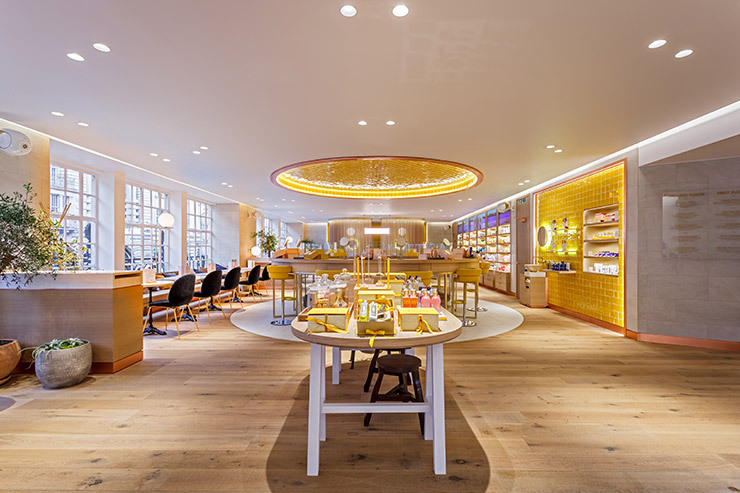 Upon arrival, customers are taken on a journey from garden to table – the store is an enrichment for all the senses, sunshine yellow and rose gold accents flood the space with a warm glow. The shop floor is divided into beauty zones; a sunshine fountain with an array of soaps, a wild scented garden allowing customers to explore and find their fragrance, a pampering handcare bar, an abundant harvest table and a living beauty bar. Holistic treatments are provided upstairs, with refreshments and Pierre Hermé Paris macarons served while customers relax.